Update: Due to time constraints, we’re unable to mail MetroPasses at this time. However, you may still purchase passes by calling the MetroStore at 314-982-1495 or by visiting the MetroStore at 701 Convention Plaza, St. Louis, Mo. 63101. 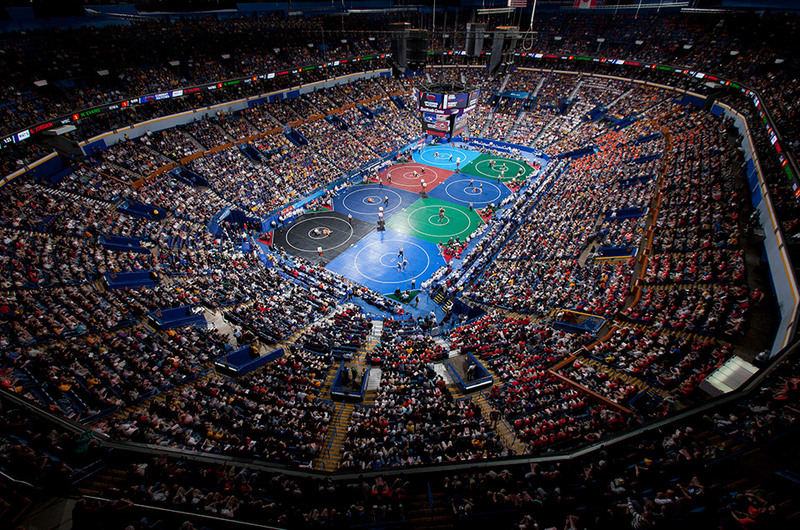 Metro transit has partnered with the NCAA to offer the 2015 Division I Wrestling Championships MetroPass for fans attending the championships this year at the Scottrade Center. For $23.50, the special MetroPass provides unlimited rides on MetroLink, MetroBus and the #99 Downtown Trolley from March 18 to March 22. The MetroPass gives fans a great way to get to and from the championship matches, and also explore all the attractions, restaurants and sights St. Louis has to offer. The MetroPass can be purchsed online or at our MetroStore located inside the America’s Center at 7th and Washington. The Civic Center MetroLink Station is conveniently located just south of the Scottrade Center, and is one of five MetroLink stations that serve downtown St. Louis. The Civic Center Station at 14th and Spruce Streets also connects with 18 MetroBus routes, making it Metro’s busiest transit hub. 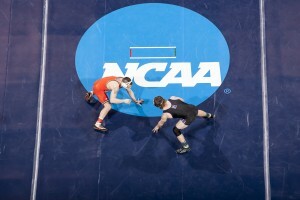 The NCAA Wresting Championships generate an economic impact of about $15 million for our region, and this year it’s estimated that more than 115,000 people will attend the event. 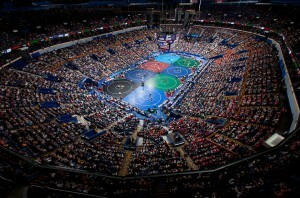 For more information about the championships or to purchase tickets, visit NCAA.com/Wrestling.